Dinitrogen monoxide, nitrous oxide or laughing gas (N2O) is one of the nitrogen compounds that was first used in dentistry in 1799. Today, it is used in medicine to induce and continue anesthetic. The low amounts of the drug is also used as an analgesia in gynecological surgery and for surgical procedures that do not require complete anesthetic. One of N2O’s applications is to enhance the car. 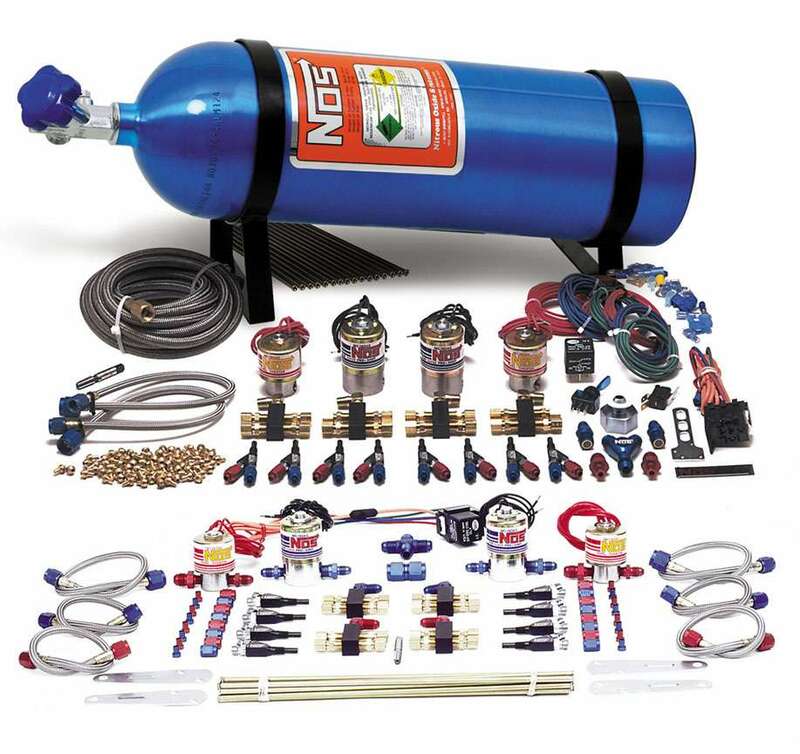 Nitrogen oxide is n’t a fuel that can be burned in the vehicle’s engine and produceenergy. When the gas enters the cylinder, it decomposes into oxygen and nitrogen atoms due to the high heat inside the chamber. In the decomposition, the bond between atoms is broken. The reaction absorbs heat from the cylinder, resulting in the reduction of the combustion chamber temperature. Active oxygen atoms are combined quickly to form an O2 molecule. Now, if we add some extra fuel to the cylinder, we can burn the extra fuel with the produced oxygen gas and generate more power. Note that the burning of excess fuel is possible when the cylinder’s temperature is low and the decomposition of nitrogen oxide provides the required condition. In the process, nitrogen gas does not play any role in the explosion! Nitrogen oxide (N2O) is a colorless, odorless and non-flammable gas. N2O is not toxic but it’s laughing. It is stored in pressurized containers called“Bottle Heaters or Bottle Warmers” in the car. The pressure inside the container should be 850 to 1100 psi in order to keep the gas in liquid phase. The gas is injected into the engine breathing duct (or cylinder) through the pressurized hose. Duringnitrogen oxide injection, the gas goes from the liquid phase to gas phase, since its boiling point is about -84 °C. During thephase change, the temperature of the air mixture decreases and thereforeexplosion process will be carried out better. Dried injection: In this case, the N2O gas enters the breathing duct alone and the fueling system is adjusted to bring additional fuel into the engine. ۲. Wet injection: In this injection, the N2O gas and the extra fuel are first mixed together and enter the breathing duct through the nozzle. Direct injection: In this case, there is an injector for each cylinder, so that N2O gas and additional fuel enter the combustion chamber through each of thenozzles. This case is most commonly used in racing cars. The injection is carried out with control switches inside the vehicle, which switch connection will actuate the nitrogen-related solenoid. A programmable controller also determines the amount of oxidation nitrogen gas. The controller can be a progressive type that expands the gas volume exponentially or a two-stage type that maximizes gas volume in two steps. If nitrogen oxide be used properly in the vehicle’s boost system, then it does not create any problem for the engine. It is possible when the system be coordinated with the engine structure and an appropriate N2O pack with protective equipment be applied.